One great myth that was making rounds across the scientific world and across all the internet was that sharks had suddenly become the cure for cancer. And they are indeed incredible animals, probably one of the world’s most famous creatures: everyone knows what a shark is. Some people are fascinated and some people shudder in fear, but everyone knows what a shark is. They have been around the Earth’s oceans for millions of years and survived, which simply makes them incredible. But that does not mean sharks have suddenly become a cure for cancer. Primarily because for starters there will never really be a cure for cancer, not tomorrow and not in fifty years. It is simply a conspiracy theory that a cure will exist or already exists, definitely, better treatments will evolve but a full blown out cure would not be possible. Cancer is a disease that also adapts and evolves, which means it will always be amongst us. There is no universal trait for all cancers which means there will never be a miracle treatment that solves every problem it causes. Cancer is defined by a rogue cell growing at alarming rates that are generally out of control. Thus what could be seen as a universal cure for cancer growth would be preventing cell growth, and these sorts of drugs will never really be safe for human consumption. So why doesn’t everyone think sharks are the cure? The myth comes from the notion that sharks never get cancer, and therefore must be the key to a cure. It started way back in the 1970s when Henry Brem and Judah Folkman from the John Hopkins Medical School of Medicine first saw that cartilage stopped the growth of new blood cells in the tissue. Generally, this is what causes tumors and other cancerous growth, new cells appearing in tissue. Whereas since sharks are entirely built out of cartilage they theorized that it was impossible for them to contract any form of cancer. In fact, scam pharmaceutical companies started to sell cartilage pills off the back of this research. 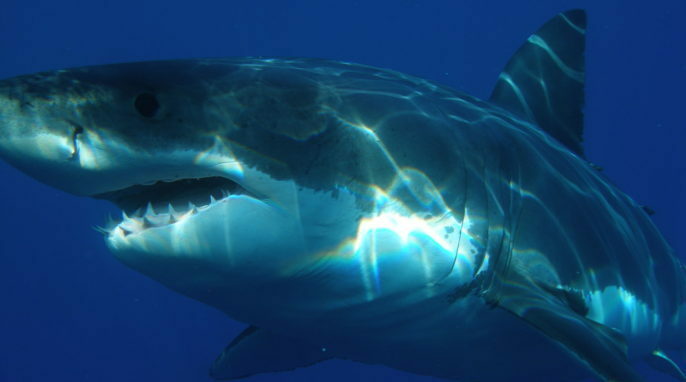 Yet it turned out to be untrue, yes sharks seemed to have a lower rate of cancer than other species but we don’t really know much about their immune system. What we do know is they do get cancer.